You may have heard the story of the starfish, in case you haven’t, you can find it here. 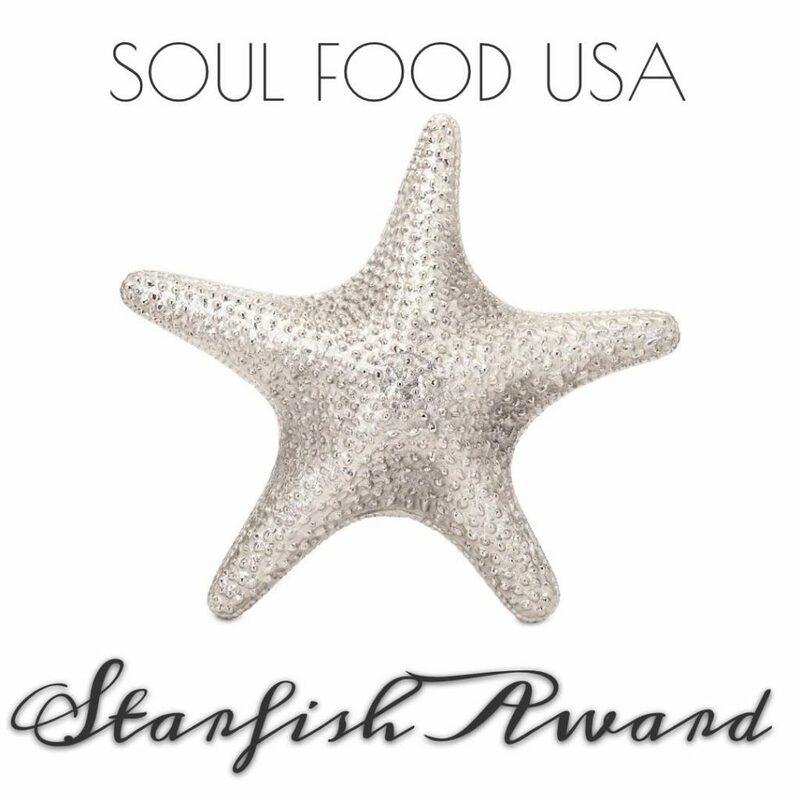 In honor of those making a difference, the Starfish Award was announced at our latest Soul Food USA event. SOUL FOOD USA will be presenting the first ever Starfish Award at The Peanut Butter and Jelly Ball on August 26th! This very special award will be given to an individual in the community who personifies the SOUL FOOD USA philosophy of “Do what you can, where you are, with what you have, and you will change the world!” Do you know someone who is changing the world around them, one act of kindness, love, and compassion at a time? Nominate them for the Starfish Award by sending an email to soulfoodusa22@gmail.com or a message on our Facebook page (www.facebook.com/soulfoodusa) by August 19th. Help us celebrate the ordinary acts of goodness that have an extraordinary impact on the world! Nominate your favorite backyard-humanitarian for the SOUL FOOD USA Starfish Award! Thanks to our amazing volunteers, 1,112 PB&J sandwiches made at our last event! We can’t do it without you. Please keep an eye on our Facebook page for updates on future events and how you can join the fun.